At this point, there&apos;s no doubt that Drake obliterated Meek Mill in their incredibly public "beef" (if you can even call it that). It&apos;s really seeming like Meek can&apos;t catch a break lately, and UNDRCRWN isn&apos;t making it any easier by dropping this "Back2Back" tee. 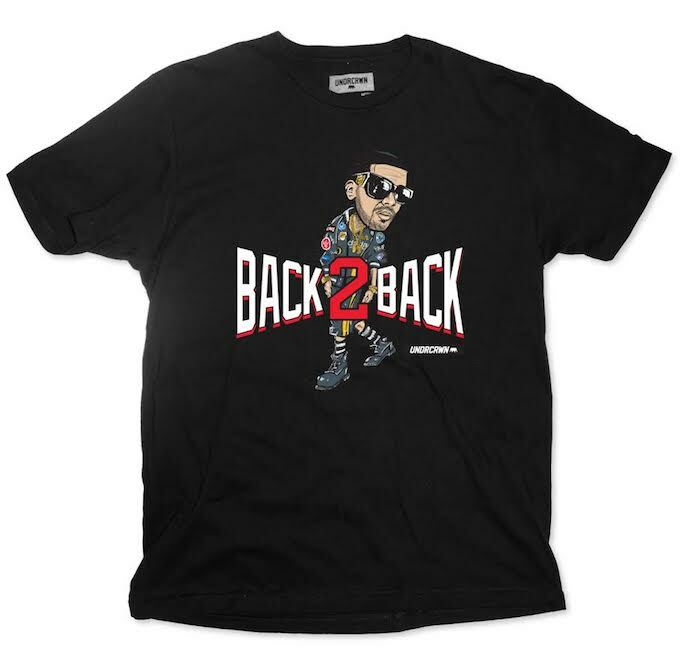 The t-shirt, showcasing a big head caricature of Drizzy in his now infamous "Dada pose," features the words "Back2Back" across the front. For those who haven&apos;t been glued to the recent (twitter) feud between Drake and Meek Mill, that&apos;s the name of the freestyle diss track Drake dropped earlier this week. After Meek&apos;s disappointing counterattack via "Wanna Know," it&apos;s becoming clear that "Back to Back" was the verbal haymaker that helped cement Drake as the clear winner in this war. If you&apos;re interested in showing your support for Drake, or just want to throw shade at any Meek Mill fans (at least, any that will still admit to being Meek Mill fans), you can cop the tee over at UNDRCRWN.